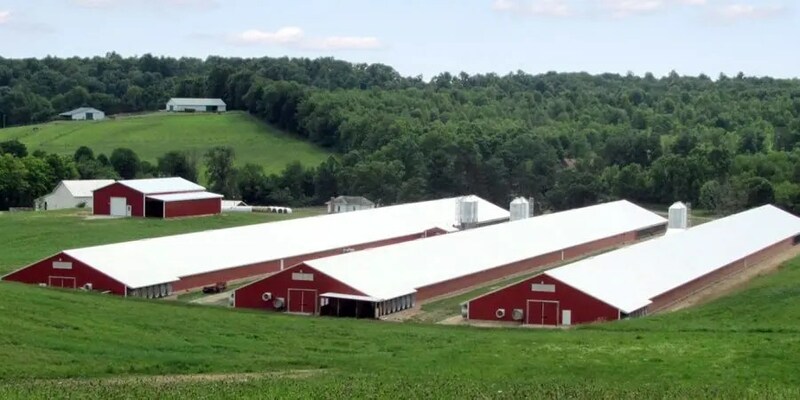 Founded in 1986, Case Farms is a fully integrated poultry farming and processing group of dedicated individuals who work together to produce consistent, quality poultry products. After beginning operations in Winesburg, Ohio with only 140 employees, today the company has grown to over 3,200 employees who produce in excess of 1.0 billion pounds of fresh, partially cooked, and frozen-for-export poultry products per year. Case Farms built its business on a commitment to ensuring the health and welfare of its chickens. They are equally committed to ensuring the health and welfare of all employees. As mandated by the US Department of Labor’s Occupational Safety and Health Administration (OSHA), Case Farms maintains an occupational hearing conservation program at all its operation complexes designed to protect its workers from exposure to loud noise. This means that on top of ensuring employees wear mandatory hearing protection, all have their hearing tested annually and are closely monitored for any shifts against their baseline audiogram. The workers represent the diverse, cultural melting pot of America and include Hispanic, Nepalese, Burmese, Korean, Romanian, African, Congolese and American employees. Many are new to the U.S. with only basic English language skills. 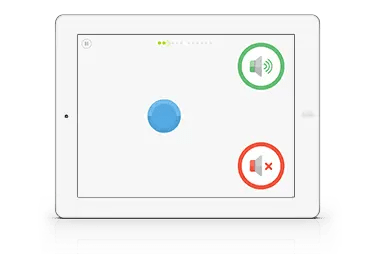 With SHOEBOX, it is easy to demonstrate the automated, interactive, game-interface method of executing the test, helping to alleviate any language barrier. Most employees easily catch on to this simple approach and are left to complete the tests on their own. It is easy to identify those who may struggle with the test, at which point there are two options. Restart the test before they have progressed too far or, administer the test for them, having them indicate by raising a hand when they hear the tone. Their responses are recorded for them. The whole process moves smoothly resulting in fewer questionable tests and re-tests. The paperwork required to manage a program like this is very time consuming – from booking the provider, scheduling all tests, to reviewing individual results with every employee. It also required the employee to visit with medical staff, requiring more time off the job after the test was completed to review the results. 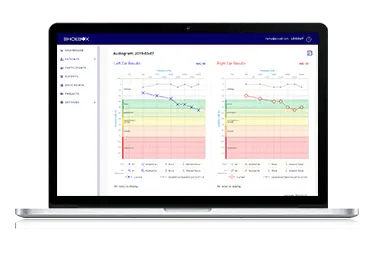 Now, with SHOEBOX, a hearing test is administered, a copy of the audiogram is analyzed on-site, the results are reviewed, and the employee signs the paperwork – all in the same appointment. Record keeping is streamlined and the employee requires less time off the job. Prior to using SHOEBOX Audiometry, Case Farms employed an agency that drove a hearing truck to the production plant site. Employees were tested only once per year. This made it difficult to determine if hearing loss was something the employees brought with them to Case Farms. 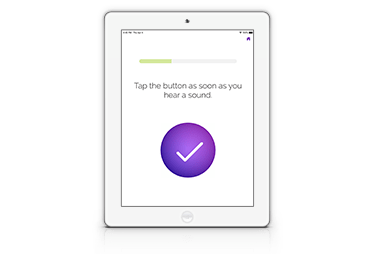 With SHOEBOX, regardless of which facility the employee is in, a baseline audiogram can be conducted with just an iPad. This can be accomplished several times a year and coordinated with the start dates of new employees. Now going forward, a shift against that baseline can be easily determined and documented. It used to cost Case Farms more than $4,000 for the annual visit by the hearing truck. And the employees had one shot to get the test right or take more time off work to be re-tested. Case Farms also considered the option of installing a sound booth at the main plant; however, that option was not economical. Such a booth would cost over $10,000, in addition to annual calibration fees of almost $1,000. It also meant that employees from the remote facilities would have to travel to be tested in the booth, costing more money and more time off the job. 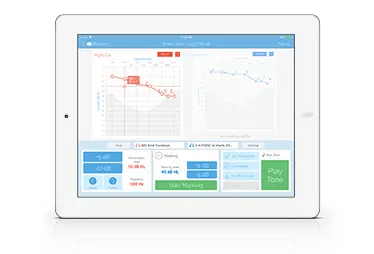 SHOEBOX Audiometry offers significant cost savings over traditional approaches to delivering occupational hearing conservation programs. Automated test capabilities make it possible – even easy – for almost anyone to administer the test. The iPad means that the system is portable enough that testing can be brought to the employees whenever testing is required. Add to this the fact that SHOEBOX does not require a sound booth to produce accurate results, and that it is available through low-cost monthly or annual subscription plans means that it is now possible – even practical – to bring your occupational hearing conservation program in-house. Contact us to learn how you can do the same today.